Home » Scooters » Mobility Scooter » Drive Medical Scout review – Is the budget mobility scooter any good? Drive Medical Scout review – Is the budget mobility scooter any good? Probably the best bet if you're on a budget. It has everything in moderation, speed, distance, and comfort and it takes you where you need to go with ease. It might not be the most impressive unit out there, but what you to pay for it amazingly impressive. The best alternative if you are on the hunt for a bargain. Delta-shaped steering handle makes driving effortless, even with limited dexterity. Equipped with non-marking, anti-tip wheels, and interchangeable red and blue color panels. At less than half the price tag of most other available mobility scooters it still brings a lot of benefits to the table and isn’t just any cheap scooter. It provides everything in moderation and it folds together fairly easy for transporting the unit. It might not fold as easily as the automatic system on the Solax Transformer but it gets the job done. The low price has made this scooter the go-to unit for many people, especially for elderly who might not afford one of the more expensive options. For you, this means that it has already been heavily tested and all those early problems that might occur with a launch have been fixed a long time ago. It has earned itself a great user-base with overall well-satisfied customers giving it a 4/5 star review rating over at Amazon. That rating speaks for itself, that even though they’ve cut down on the price, the quality, maneuverability, and user-needs have not been left suffering. It is by far the most popular and most sold motorized medical scooter in the US as of today and you’ll be surprised at how comfortable and user-friendly it actually is. First, the assembly part is pretty straight forward. If you just keep checking the manual the 4-step assembly process shouldn’t be much of a problem. When that is done there is a knob that unlocks the wheels. You can set this in drive or freewheel which can be a bit unclear due to the shortage of information in the manual regarding this particular process. So make sure that this part is done correctly. 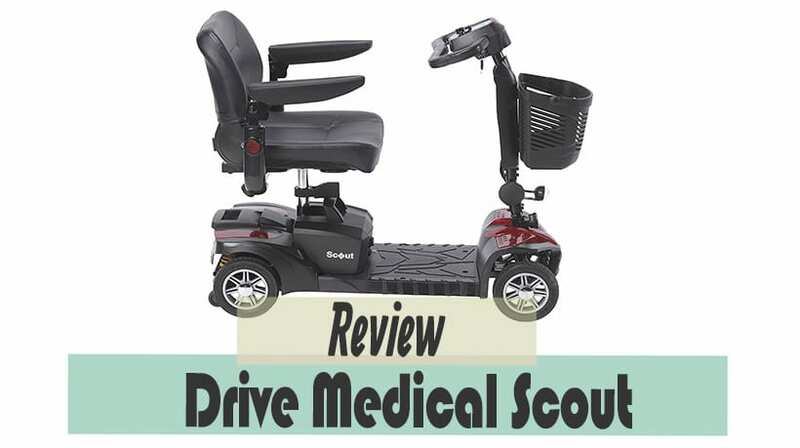 The initial ride of the Drive Medical Scout is very comfortable. It is easy to maneuver thanks to the delta tiller and the seat is highly adjustable. The chair itself is mounted upon a swivel making the on and off task much easier. Riding on various terrain works great but it can get a little bumpy on very unforgiving terrains like gravel or very rough asphalt. It is easy to take pack up and take with you wherever you go and even though it might not fit into the smallest of cars. Taking it on the train or on an airplane is no problem due to the airline approved battery. Go-Go traveller Review - What are the benefits? Solax Transformer review - Is the automatic folding worth it?